At All Electric Scooters, we know how important it is for every customer to be able to customize their mobility scooter and make it truly one of a kind. That is why we stock the largest inventory of electric mobility scooter accessories including arm bags, mobility scooter batteries, cane holders, crutch holders, oxygen holders, canopies, covers, seat back bags, and more. 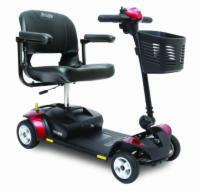 If you have any questions contact our mobility scooter specialists by calling 1-800-790-1637. 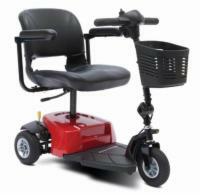 Want to learn more about electric scooter parts and accessories? Click here to view our buyer's guides! Add storage to the armrest of your electric scooter. We carry batteries for every type of electric mobility scooter on the market. Please call us if you aren't sure which type you need. Various equipment holders that attach to the back of your scooter's seat. Protect your clothes from the elements when you ride your scooter outdoors. The best way to provide protection from intense sunlight, wind, and rain while riding your scooter outdoors. Scooter chargers keep the batteries in your scooter in great shape thanks to their advanced smart charging technology. 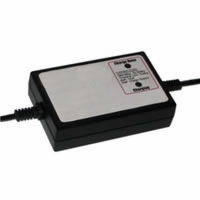 We also carry OEM charger replacements, please call for more information. Protect your scooter while its being moved or stored. Add additional storage for your belongings on the back of your scooter's seat. Add additional storage to the front of your scooter if you don't have a basket. Write, eat, and use your computer without getting up from your scooter with these trays. Store your valuables out of sight on your electric scooter.